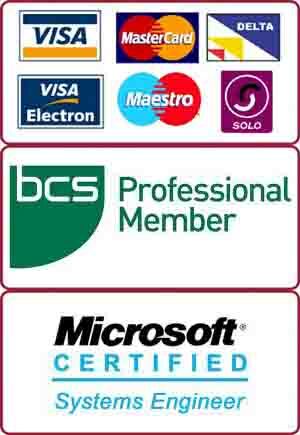 We, at PC Macgicians, specialise in PC and Mac computer repairs in Wimbledon SW19. This lady from Wimbledon brought her Apple Macbook Pro laptop for repair. The Macbook was completely dead as she had poured a glass full of wine onto the Apple laptop. To repair the Mac, we had to completely dismantle this Macbook Pro laptop and clean-up each and every part with de-ionised solution before re-assembling it back. After performing this procedure on the Mac, the laptop turned on. However, the keyboard and trackpad button on this Macbook Pro were not working. Repairing the Apple Mac keyboard is not cost-effective. Therefore, we had to order a replacement keyboard and trackpad from our supplier. Once we replaced these two items on the Macbook, it started to work again like brand new! If your Apple laptop has been liquid damaged, first thing you should do is to take out the battery / power source as it does a lot of damage to internal components. The following tips are useful for Apple Macbooks as well as iMac and Mac Pro computers. Turn off your Macbook, iMac or Mac Pro immediately. If it is a Macbook, disconnect the battery asap. In newer Macbooks, you may need to open the screws on bottom casing. In case of an iMac or Mac Pro turn off the mains power supply or disconnect the lead. Unplug and disconnect all the cables for peripherals. This includes mouse, printer, external monitor, usb stick etc. If it is a Macbook, turn it upside down for water to be drained. The first thing that gets damaged in a Macbook is usually the keyboard. Clean the spilled liquid towel or cloth. If the liquid spilled on your Mac computer is anything other than water, then clean the sticky residue from screen, keyboard and buttons. It is important to insulate yourself from static discharge as it can damage your Mac. Remove the main casing of your computer. Remove the dry residue using a towel or cloth. You can also use compressed air to blow away the residue. 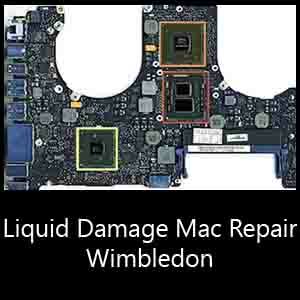 You can also rinse clean the internal components of your Mac using de-ionised water. If your first rinse did not remove all of the residue, you may want to consider a solvent rinse. Re-assemble and test your Macbook, iMac or Mac Pro computer. If the above mentioned tips do not solve the problem then take it to a professional for repairs. Your Mac may have got burned components that only a professional can repair.